Over the past few years Volvo has been calling its tougher, off-road all-wheel drive models 'XC' with the XC90 the most popular. So why is the V40 version called Cross Country rather than XC40? 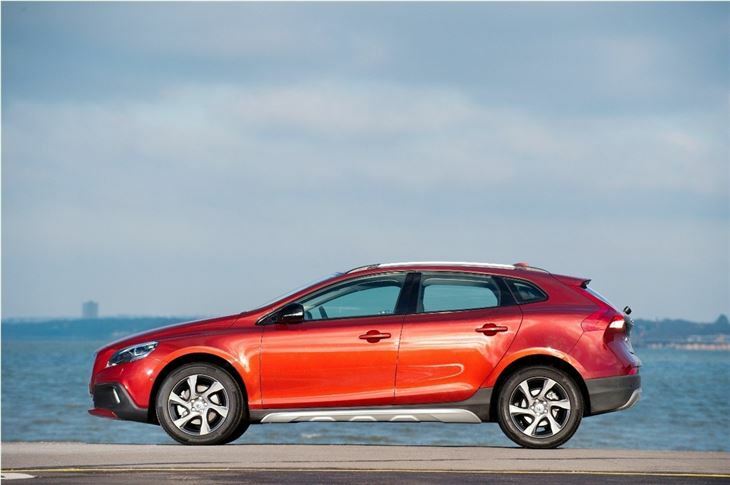 Because despite chunky styling and an increased ride height, it’s really a regular V40 in rough-and-tumble clothes. 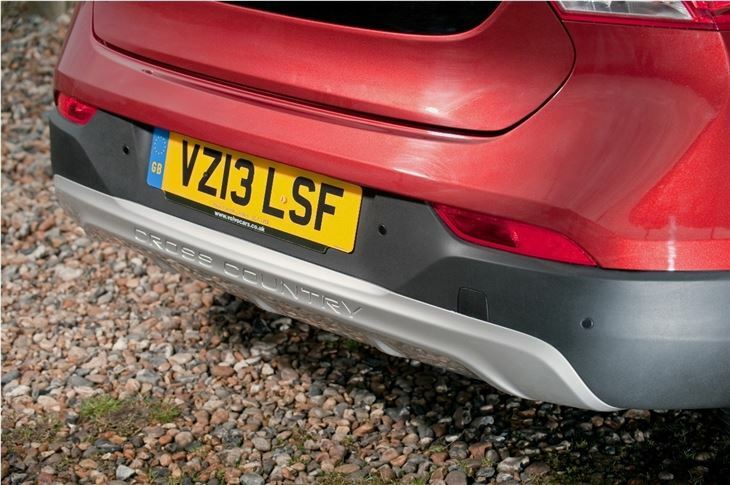 The reality is that most people will rarely need all-wheel drive, even if they tow caravans or cross fields. 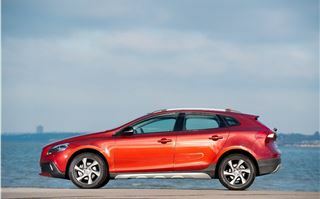 There are benefits to sticking with front-wheel drive too – like cheaper running costs and better fuel consumption. 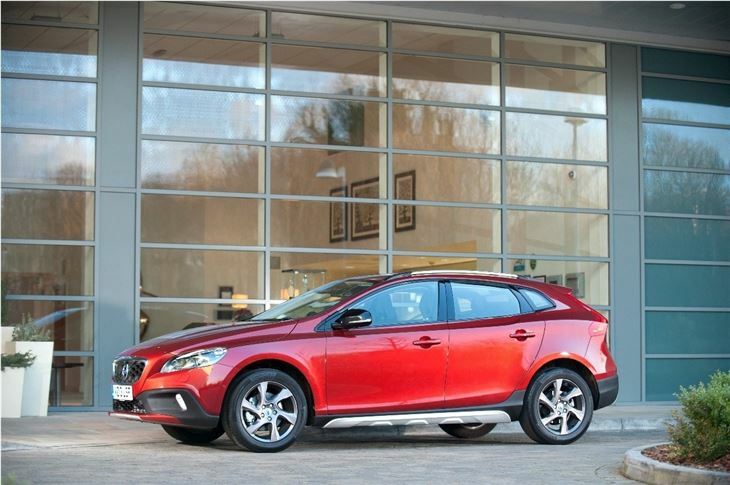 The V40 Cross Country costs around £1000 more than the equivalent standard V40 and while that doesn’t get you four-wheel drive, it does get you a rugged looking machine. The ride height has been increased by 40mm, while the bumpers and sills sport silver brush guards and black details. 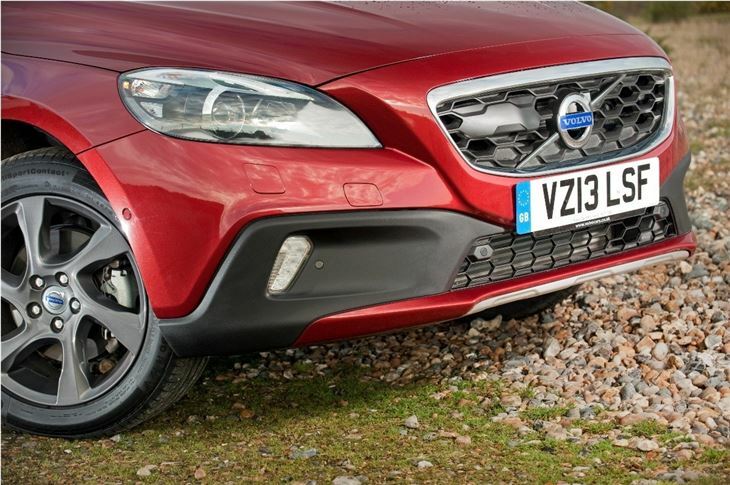 It’s all finished off with repositioned LED running lights and is arguably the snappiest looker in the already handsome V40 range. 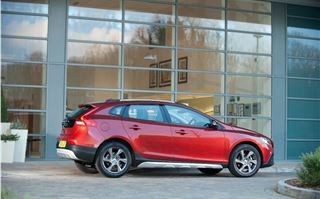 That extra ride height is supposed to be cosmetic, but it actually has the knock-on effect of improving ride – there’s a little more suspension travel and so the V40 Cross Country irons out creases and potholes in the road more smoothly than its regular counterpart, although the steering response is a little duller. 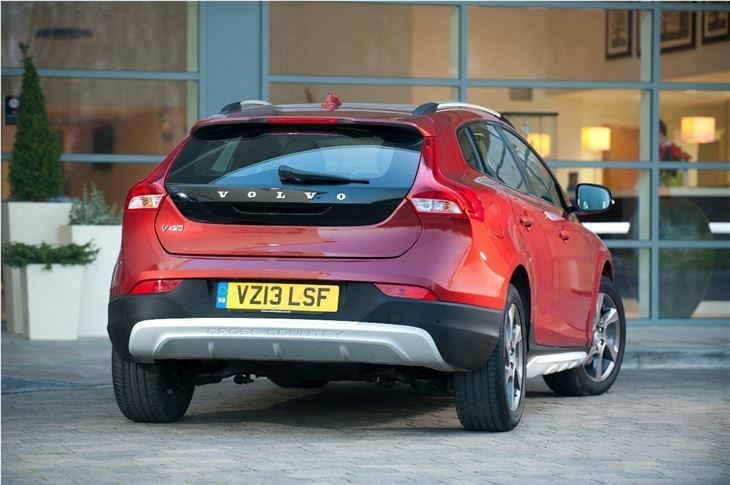 Not so dull as to ruin it, though – it handles corners and tight roundabouts well, rolling just the tiniest amount. 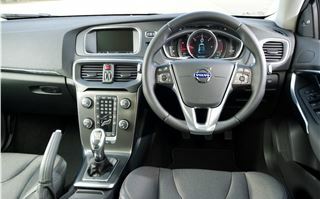 It’s a confident car, and while keener drivers might not find it particularly rewarding most will enjoy how easy it is to drive – all of the controls are seamlessly smooth. 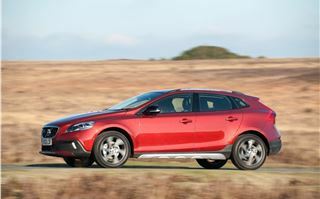 We drove the entry level 115PS D2 diesel engine, which manages a respectable 74.3mpg according to the official figures. Emissions are 99g/km, which means zero VED and congestion charge exemption, yet unlike most entry level engines it’s perfectly likeable. 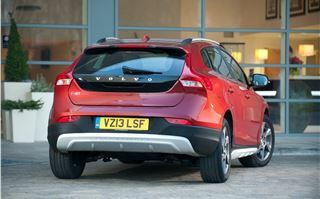 It’s smooth, quiet and refined, plus if you keep it between 1750rpm and 2500rpm it offers decent performance. There are also D3 and D4 models, but for most the D2 should prove more than adequate. 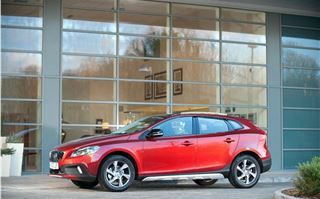 Volvo also offers a 180PS T4 petrol and a 254PS T5 petrol – the latter does actually come with all-wheel drive, although it’s designed for keeping the car on the road, not for climbing mountains. 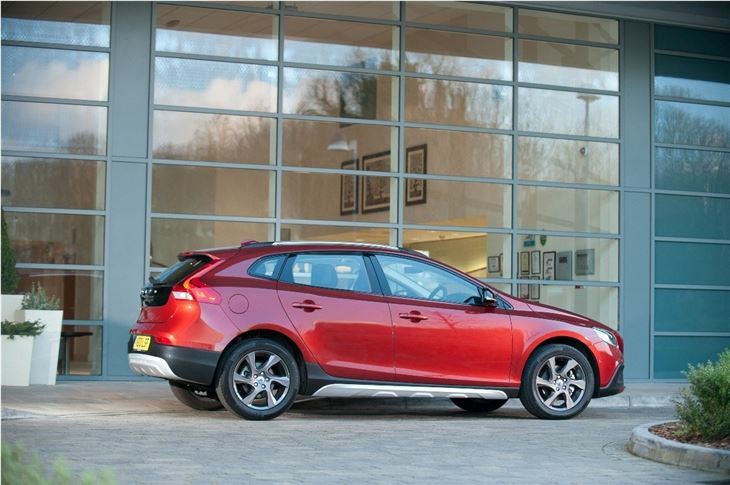 It’s also thirsty and expensive at £33,875. 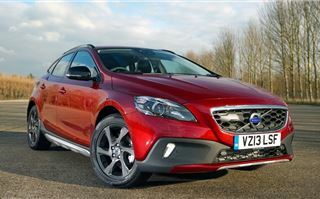 Aside from chunky details the Cross Country is the same as a normal V40 hatch. 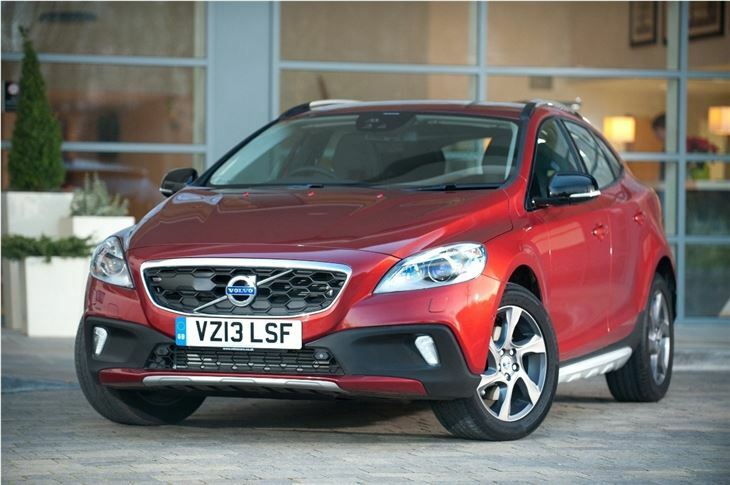 The cabin is spacious and neatly laid out plus there’s plenty of safety gear – the V40 scored the highest rating ever in Euro NCAP crash tests. There are also some really neat touches like an extra washer nozzle, which comes in handy for clearing stubborn residue off the screen. Light and airy though the cabin is, it’s not that roomy in the back. 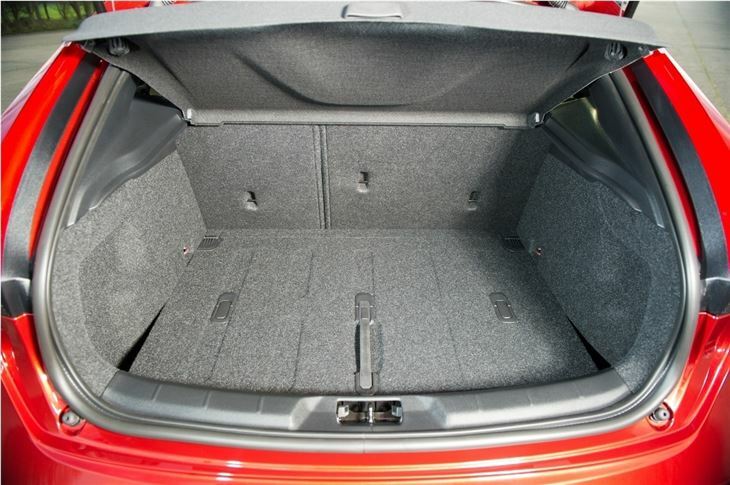 The door apertures aren’t huge and taller passengers will struggle for head and legroom. 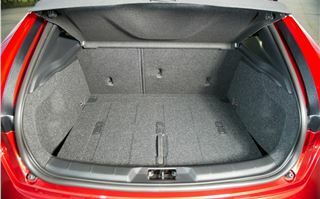 There are some problems with the boot too – it’s pretty high up, which will make lifting heavy items in and out fairly tricky. 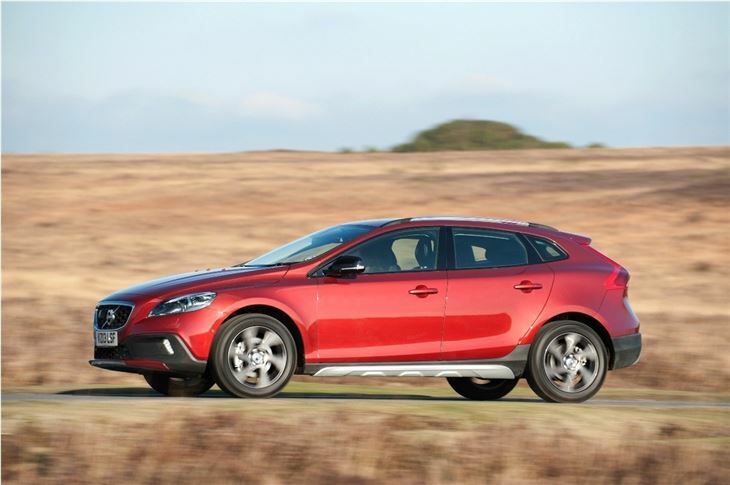 Those criticisms are easy to forgive though, because the cabin is so neatly put together and pleasingly trimmed, with an array of material options including something that looks and feels like a wet-suit. The majority of materials are up there with BMW or Audi, but everything is refreshingly different, thanks to flourishes like a frameless rear view mirror and a transparent gearknob. 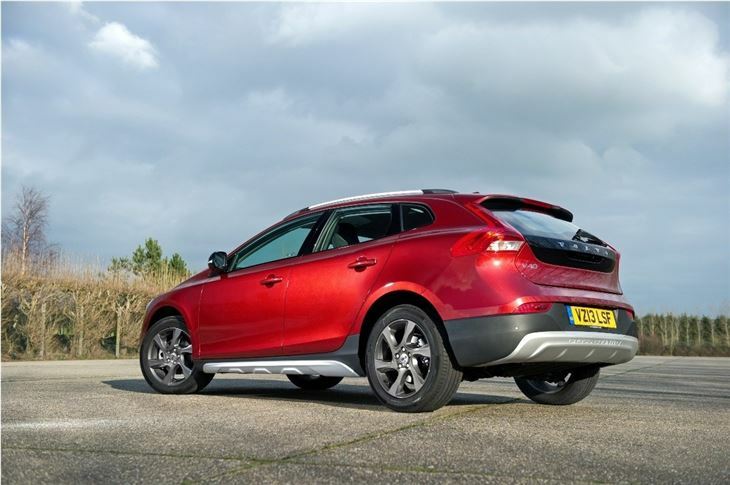 Buying a V40 Cross Country narrows the number of trim levels on offer from the standard V40’s three to two – SE and LUX. 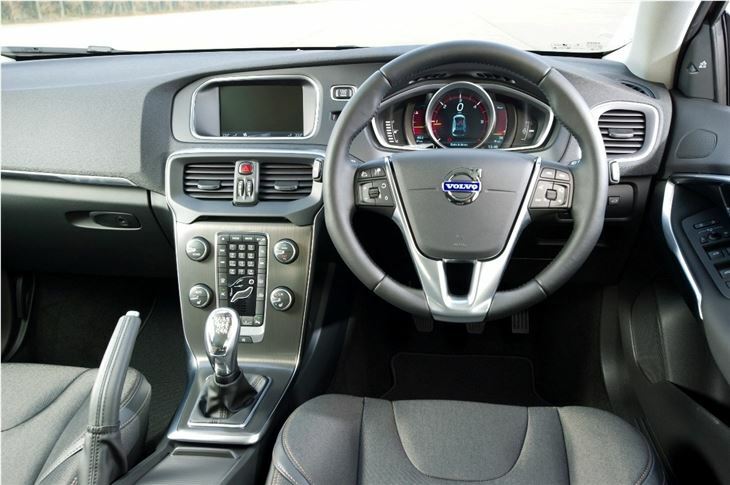 The entry-level, £22,595 SE D2 is decently equipped, but with a broad range of options available it’s pretty easy to hike that price up to nearer £30,000. Cheap it most certainly is not. 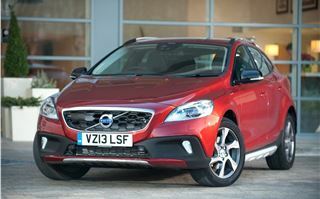 It’d be all too easy to criticise the V40 Cross Country. 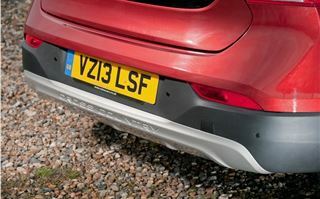 On paper you’d think paying £1000 extra and getting nothing but new bumpers is a waste, but the smoother ride and attractive styling only add to the appeal of an already accomplished car. 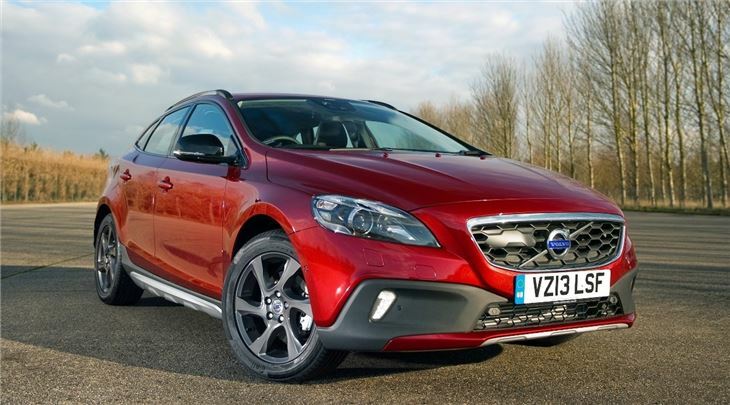 If you’re tempted by the looks, don’t let the lack of all-wheel drive put you off – the V40 Cross Country is certainly worth a test drive.